Wall art is one of the most preferred decorations for households all around the world. Many artists around the world create paintings that can be used as a wall art. Earlier, the only way to get wall paintings was through wall art gallery. But since the advent of the internet, the art world has been going through a disruption. Now anyone can buy wall painting online with a few clicks. 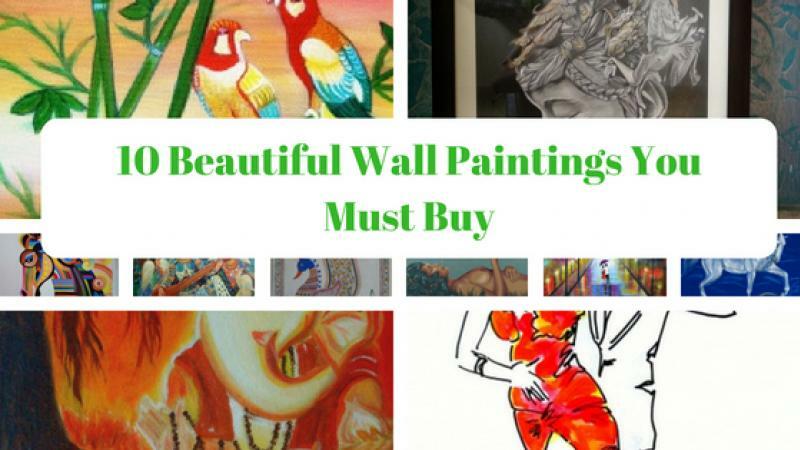 Here, we will check out some beautiful Wall Paintings you must buy. Wall paintings add a personality to any establishment whether it is a home, an office, a hotel, etc. It gives a pop to the interiors. They are great conversation starters as well. If you are looking to embellish your walls with brilliant wall paintings, then the following paintings are the ones you should consider. This wall painting was created using grey pastel shades on black or brown heavyweight paper and framed in wood and glass cover. The subject of the painting is the side face of a princess with a tiara, which has a cross like a pendant on the crown and a lion piece just over the ear. The ear has a cylindrical hanging earring. The eyes of the princess are closed and have a perspective of a flower just beyond the nose. The frame is made of wood and has been powder coated with black color. The painting is enclosed behind a glass cover. 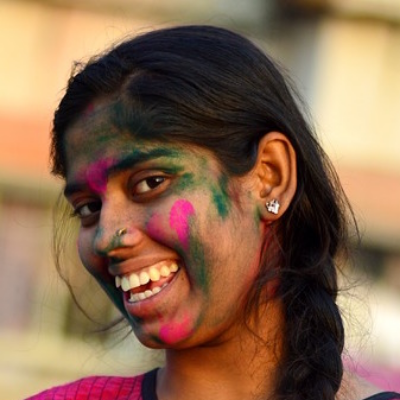 Tanupriya Dutta is an IT and Software Developer with interest in arts and painting. It allows her to explore herself. You can buy this wonderful piece of artwork for 1200 USD here. This beautiful wall painting was created on a grey canvas of the dimensions 8 inches * 12 inches using acrylic colors. The subject of the painting is a colorful wooden horse rocking chair. The acrylic colors are vibrant, which has a palette of rainbow colors. The mane of the horse resembles the flares of the sun. The left-hand top corner has pale water effect streaks of color which signify a shadow. You can frame this painting in wood. Payal Lulla is an emerging fine art painter from the state of Rajasthan. She has won many awards in Rajasthan and Madhya Pradesh. For her, colors are a therapy to soothe the mind. All her paintings have vibrant color schemes. You can buy this wonderful painting for 3000 USD here. Salutations to the destroyer of all vice and roadblocks to success. Salutations to the Lord of the Ganas whose aura shines like million suns. The subject of the painting is Lord Ganesha, the remover of obstacles, the first revered and the patron of knowledge. The painting is created using only four colors – white, orange, brown and green. You can see various hues of the color orange from dark shades to light touch-ups. The painting is made on rough canvas and framable in wood. Nikita Sharma is a visual artist and freelance painter. She has worked extensively for major motion picture studios. You can buy this painting for 300 USD here. Mayoorika is the Sanskrit name for female peacock. This handmade drawing gets inspiration from the Madhubani School of Painting. The drawing is made using various drawing techniques like hatching, cross-hatching, linear lining, etc. The paper used to create this drawing is a handmade paper, which has been stretched and mounted on a board. The drawing has no frame, so you can either frame it or mount on any smooth surface to hang. Divya Thade is a well-known painter. Buy this handmade drawing for 150 USD here. This painting is a part of a series of paintings, Harmony, and dates back to 2013. The subject of the painting is a woman sitting in the midst of nature singing and playing the Rudra Veena, a musical instrument played by Lord Mahadeva. In the painting, the imagery depicts the woman singing sublime notes that elements of nature, demi-gods, fairies all come and gather around her to listen to the notes. The painting is oil on canvas medium with dimensions of 5ft*4ft. Meena Sansanwal has been painting for the last 20 years. Her common methods of painting are oil on canvas, gold leaf and pure powdered pigments. The most common theme of all her paintings is love, peace, and harmony. Buy this amazing painting for 5002.80 USD here. This sketch is a line drawing showing a man and woman dancing. The subject of the drawing is a dance form, Tango. It is a sensual dance with a lot of hip and leg movements. The drawing is made on stretched paper with graphene pencil and orange, red and yellow watercolors. The painter is a multi-award-winning artist and conducts exhibitions around the world. Buy this drawing for 300 USD here. Nature is a wonderful tapestry of colorful birds and colorful skies. This painting creates a harmonious ambiance of colors. The medium of this painting is acrylic on canvas, with dimensions 20*16 inches. The subject of the painting is two birds sitting on a bamboo shoot with the sunset as the backdrop. The painter is based in Mumbai, Singapore, and the US and has won many awards. This is one of the most beautiful wall paintings, which you can buy for 495 USD here. Another masterpiece painting by Manjiri Kanvinde. The medium of the painting is acrylic on canvas with dimensions 24*18 inches. The subject of the painting is about a couple which is taking a long walk in rains under a single violet umbrella. The setting is a long secluded road, brightly lit by roadside lamps and different colors. The painting is available in a rolled format and you can frame it to hang on a wall. Buy this beautiful wall painting for 599 USD here. This is the artwork of Switzerland based painter who is popularly known by her art name Abdelghafar. If you love white horses, well you are in for a treat. The painting medium is oil on blue velvet sheet. The painting is from 2008 and has the dimensions of 60*70 centimeters. Abdelghafar is one of the very few painters who can paint on a medium of velvet with oil paint. The subject of the painting is a wild white horse playing with his hoof in a nearby pond of water. This painting has a wonderful shadow gap in white and silver. The artist has an unusual pet name due to her short-lived marriage to an Egyptian man by this name. You can buy this wonderful painting of a white horse for 4400 USD here. Earth Garden is a series of acrylic paintings on canvas. The Earth Garden collection depicts Mother Earth in the form of a woman with a smoking pipe. The pipe symbolizes inner energy and incandescence of the Earth, which it transforms into another life on its surface. The first painting in this series is about dreaming, creating, and creativity. The second painting is about love and harmony. The third one is about force, tradition, and roots. And the fourth one is about the cycle of life. This painting has dimensions of 70*90 centimeters. Use it as an unframed wall art for your living room, study or guest rooms. Buy this amazing painting for 4000 USD here. Did you like our collection of beautiful wall paintings? Would you buy them? Where would you hang them? All we want to know! Share your experiences with us in the comments. ShowFlipper Inc is an online art studio and an artist management company. We provide a platform for emerging artists to sell painting online, along with fine art and digital art creators. Take a look at our online fine art gallery. Buy fine art paintings online created by the best fine art painters from around the world.